The Providence College Undergraduate Catalog is a document of record issued in the summer of 2018 for a two-year period of time. The catalog contains useful information about the College, including admission, enrollment, the academic calendar, degree requirements, course offerings, and academic policies and procedures. The catalog is available in an online version (http://catalog.providence.edu) that is updated on a scheduled basis. The catalog is not intended to be and should not be relied upon as a statement of the College’s contractual commitments between the College and its students. The College reserves the right in its sole discretion to make changes of any nature to this catalog, including but not limited to the policies, procedures, programs of instruction, academic calendar and schedule, fees, and personnel. 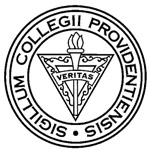 The College reserves the right in its sole discretion to reschedule classes with or without extending the academic term, cancel scheduled courses and other academic activities, and require or afford alternatives for scheduled courses or other academic activities, with notice of such action provided as is reasonably practicable under the circumstances. To personalize your experience, utilize My Bookmarks as you browse through the online catalog. This feature allows you to save a list of courses, programs, and information that you want to save for future visits to the online catalog. Need assistance? Please contact the Office of the Registrar at 401.865.2366.